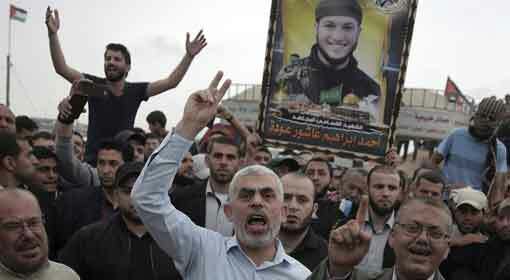 New York: ‘For the last many years, terrorist organisation Hamas has been inciting violence in the Gaza Strip. This violence had been going on even before the United States moved its embassy to Jerusalem. 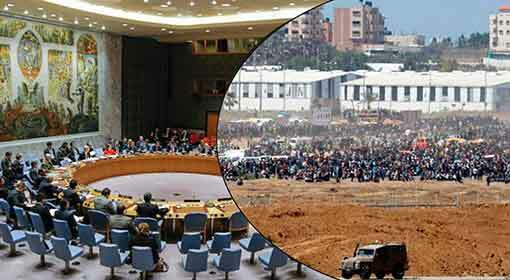 Therefore, the current violence in Gaza and the relocation of the US embassy cannot be linked. 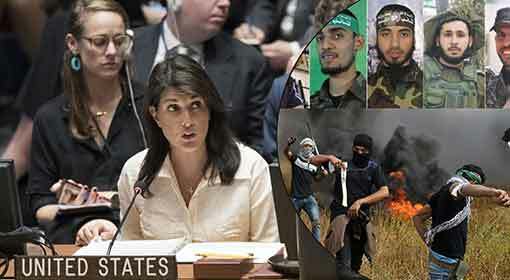 This violence is the handiwork of the terrorists who refuse to accept the very existence of Israel’, criticised Nikki Haley, the US Ambassador to the United Nations (UN). 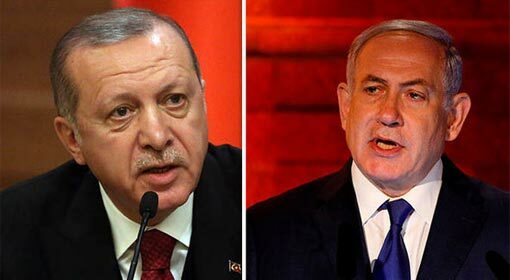 Washington: ‘The United States President has exposed the real face of a modern religious war to the world, by transferring the US embassy to Jerusalem. He is not interested in retreat or peace. Severe resistance and Jihad are the only way to answer him’, were the words used by the al-Qaeda Chief ‘Ayman al-Zawahiri’ to appeal to the Islamic world to declare ‘Jihad’ against the United States. 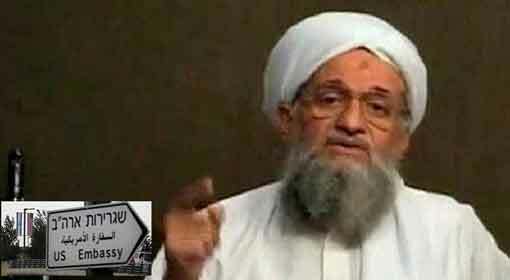 The al-Qaeda Chief Zawahiri released a five minute video on Sunday. Washington: ‘The possibility of an Iranian attack over the Persian Gulf has increased after the nuclear treaty has been scrapped. 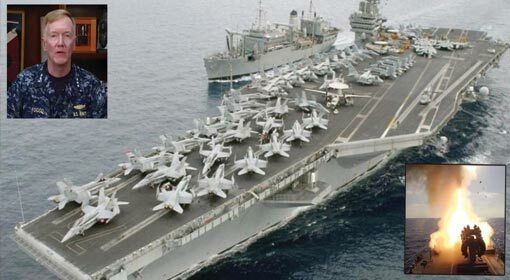 In view of this, the US Navy has been put on high alert in this region’, a senior US Naval official made this declaration as a warning to Iran. In the last few days, the Iranian leaders have threatened the United States of dire consequences. The United States having taken these threats seriously seems to have enhanced the preparedness of the US Navy in the Persian Gulf. Brussels: The proposal in the UN Security Council against Israeli action in the Gaza Strip was overruled by the United States by exercise of veto. The proposal alleged that the Israeli military had used oppressive measures against the Palestinian protesters. But the United States dismissed this proposal saying that the Israeli military acted in self-defence. 60 people were killed and more than 2700 were injured in the Israeli military action against the violent protests by Palestinians near the Israel border. After this action, the total number of people killed during these protests, which continued for more than six weeks on the Israeli border, has exceeded 100. London: Even before the United States opened the US Embassy in Jerusalem, there had been strong reactions about it from the Middle East. 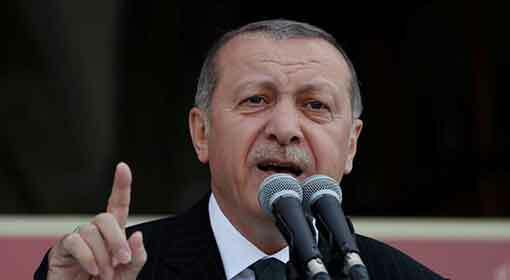 Once again targeting Israel and the US, Turkish President Recep Erdogan, known for his aggressive stand about Palestine, has clearly warned that for the Islamic world, Jerusalem will continue to remain the capital of Palestine. He appealed that Israel should be tolerant about the Palestinian protests to be held on Monday and warned that history will not forget the injustice meted out to the Palestinians. 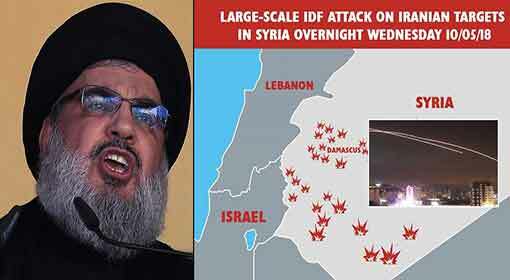 Beirut: Hezbollah Chief Hassan Nasrallah warned, “A new series of conflict has been initiated last week by firing 55 rockets from Syria on Israel’s Golan Hills region. But if Israel crosses the ‘Red Line’ with any more attacks on Syria, we will directly hit at the heart of Israel instead of Golan’. Nasrallah has tried to further incite Israel with his statement that the ineffectiveness of Israel’s air defence system was exposed by the 55 rocket attacks carried out on the Israeli posts. 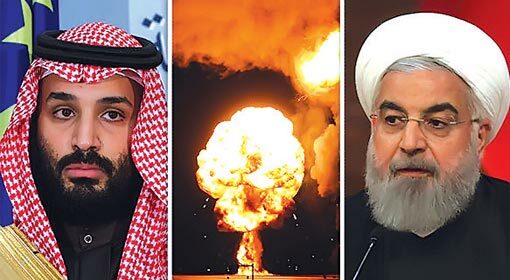 Washington/Dubai: After US President Donald Trump announced withdrawal from the nuclear deal, there have been aggressive movements to increase pressure on Iran. The United States and the United Arab Emirates (UAE) have announced imposition of sanctions on six individuals and three companies from Iran. 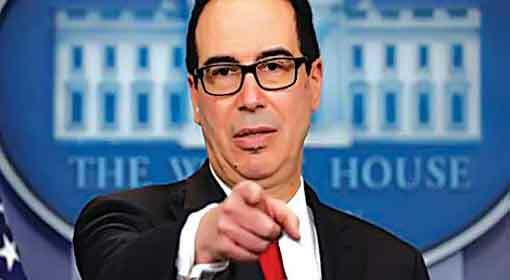 These individuals and companies are connected with the Iranian Revolutionary Guards and Quds Force and have been accused of misappropriation of millions of dollars during the sanctions period. Moscow: ‘The UN Security Council has taken the decision about sanctions against Iran. We don’t wish to interfere with that. The United States has taken its decision and started action. President Trump has clarified the position of the United States on this issue. However, we will take due care to not let the Iranian nuclear deal end. 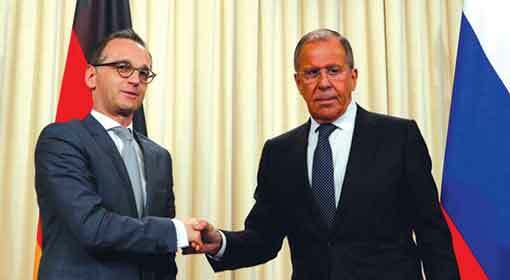 This will be our common goal,’ were the words used by Germany and Russia to express their consensus about saving the Iran nuclear deal. Washington: ‘We have suggested that Iran should not start the nuclear program. 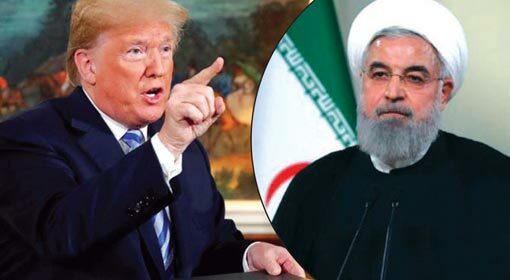 If Iran still continues with its nuclear program and tries to acquire the nuclear weapons, it will have catastrophic effects.’ warned US President, Donald Trump. The Iranian President had warned of Iran starting enrichment of Uranium and carrying out a major strike, after the withdrawal of the United States from the nuclear deal. This US President’s reaction is in reply to the Iranian President’s warning. Brussels: ‘The United States has lost its power and influence at the international level by withdrawing from the Iran nuclear deal and it is about time that Europe replaced the United States,’ warned Jean Claude Juncker, the Chief of the European Union. 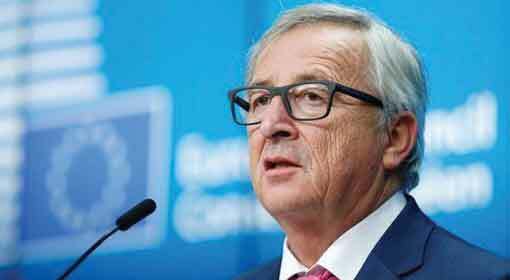 ‘We are surprised at the speed at which the United States turned its back on multinational relations and friendly alliances, claimed Juncker. ‘The United States has lost the strength and the necessary long-term influence required to be the leading country at an international level. Riyadh: The Saudi Foreign Minister warned that if Iran gets nuclear weapons, Saudi will focus all its strength to acquire nuclear capabilities. Saudi Foreign Minister Adel Al-Jubeir accused that the supply of missiles to the Houthi rebels in Yemen is illegal and these efforts amount to declaration of war. Saudi had even previously warned about going nuclear. This warning coming from Saudi after the United States withdrawal from the Iran nuclear treaty is very suggestive.